As Hopkins seniors reach the end of their high school career, they are faced with many opportunities to pursue their interests. Starting with selecting college majors, seniors will soon begin their journeys towards selecting a career. The Razor asked seniors what majors they were considering for college. Seventy-two seniors replied, showing a diverse range of interests in every field of study. 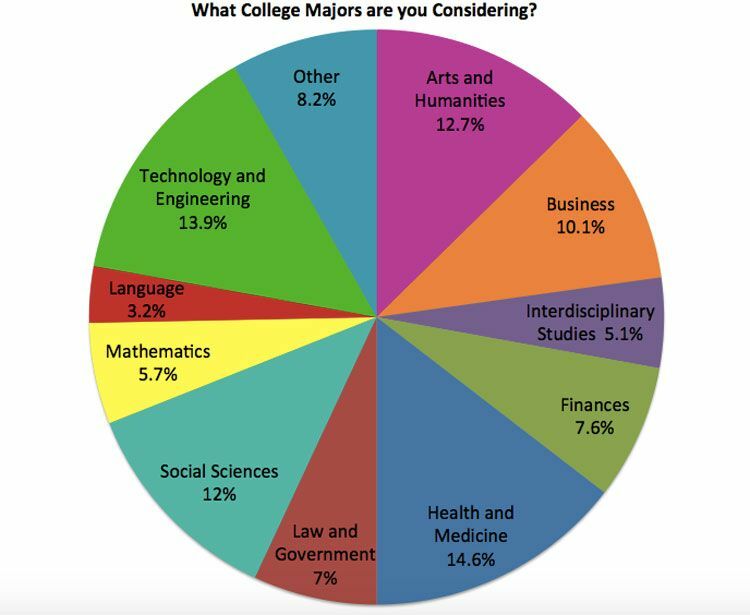 Here is a look at what seniors have in mind regarding college majors and career choices. Others attributed their interest to previously-acquired skills. David Wisdom ’16 explained that all the First Aid he did in Boy Scouts influenced his decision. Claiming the spot as the second most popular major, Technology and Engineering was selected by 13.9% of the respondents. This major included a wide range of interests from computer programming to designing outer space technology. Emily Malison ’16 said, “The first time I learned programming, I coded a Harry Potter quiz game and I just knew that I loved it!” Kami Chin ’16 said that summer internships and science classes at Hopkins influenced her decision. Some other popular majors included Humanities, Science, and Mathematics. Thomas Halvorsen ’16 said, “Going to places like Palestine and Nicaragua made me realize that traveling the world and meeting new people is what I want to do in life above all else.” Devika Das ’16 said that her work at a Yale Environmental Lab this summer generated her fascination with living things. Other respondents mentioned that classes at Hopkins--especially Math and Physics classes--helped develop their interests in the respective subject. The “Other” category claimed 8.2% of respondents and encompassed many diverse interests. Some of these included psychology, linguistics, neuroscience, game design, international studies, history, education, philosophy, and creative writing. The Razor also asked seniors what careers they were considering after college. 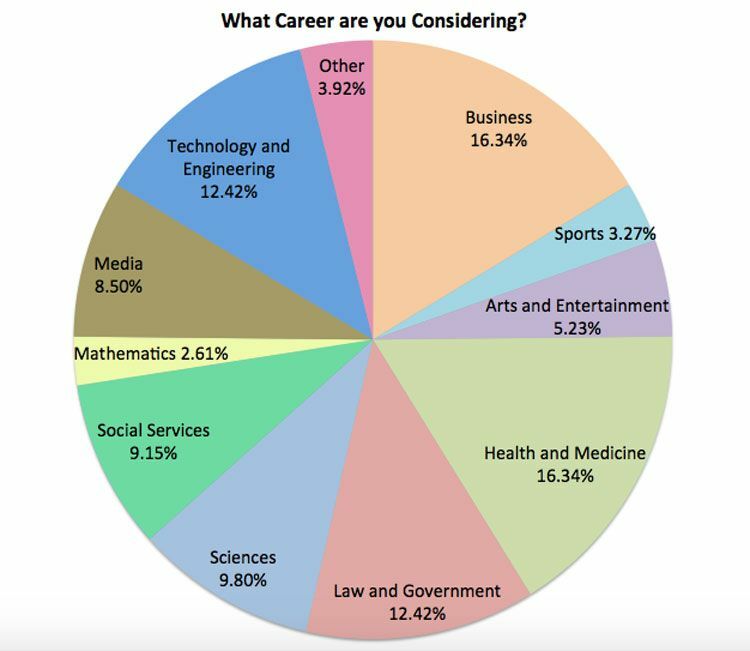 Once again, the respondents selected a diverse range of careers. Health and Medicine tied with Business for most popular career option, each claiming 16.3% of the respondents. Technology and Engineering and Law and Government followed close behind. Whatever the seniors choose for their future major and career, it is clear that they will continue to be hopeful youths!